(4) The conditions under which and buyers to whom sales are made, i.e. “impulse” vs. careful, sophisticated purchasing. (12) The extent of potential confusion, i.e., whether de minimis or substantial. As the DuPont court explained, “[i]n every case turning on likelihood of confusion, it is the duty of the examiner, the board and this court to find, upon consideration of all the evidence, whether or not confusion appears likely.” Id. at 1362 (emphasis in original). Thus, to discharge this duty, the examiner must consider all 13 factors, whenever they are of record. The examiner rejected the “GUILD MORTGAGE COMPANY” mark based on the likelihood of confusion with the registered mark, “GUILD INVESTMENT MANAGEMENT,” registered in International Class 36 for “investment advisory services” and owned by Guild Investment Management, Inc. (“Guild Investment”), a Los Angeles-based investment management company. According to the examiner, there was a likelihood of confusion based on the similarities in the marks, the nature of the services, and the trade channels. In response to the examiner’s rejection, among other things, Guild Mortgage argued, with respect to DuPont factor 8, that it and Guild Investment had co-existed for over 40 years without any evidence of actual confusion, citing to a declaration of Guild Mortgage’s President and CEO. The TTAB affirmed the examiner’s findings, and on balance, determined that the factors identified by the examiner outweighed the findings that consumers “may exercise a certain degree of care in investing money, if not perhaps in seeking a mortgage loan.” However, the TTAB’s affirmance did not mention factor 8 or the factual underpinnings thereof (namely, the length of time during and conditions under which there has been concurrent use without evidence of actual confusion, as presented through the declaration of Guild Mortgage’s President and CEO). Guild Mortgage appealed, arguing that (i) the TTAB’s findings with respect to DuPont factors 1 through 3 are not supported by substantial evidence, and (ii) the TTAB failed to consider Guild Mortgage’s arguments and evidence for DuPont factor 8. The CAFC agreed with Guild Mortgage that the TTAB failed with respect to factor 8. According to the CAFC, the TTAB’s decision does not provide any indication that the TTAB considered factor 8, let alone Guild Mortgage’s arguments and evidence directed thereto. In doing so, the CAFC rejected the USPTO’s argument that it did not need to address the factor 8 argument and evidence because the submitted declaration was uncorroborated and therefore of little evidentiary value. 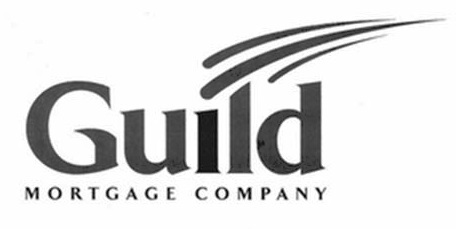 Although Guild Mortgage submitted only a declaration from its President and CEO—and not from Guild Investment—the CAFC nonetheless found that the TTAB must consider the evidence, though it made no assessment on the evidentiary weight that the TTAB must give it on remand. Because it agreed with Guild Mortgage on factor 8, the CAFC did not address Guild Mortgage’s remaining arguments. This case serves as a reminder that the DuPont factors remain mandatory and each factor must be considered, when put into evidence.